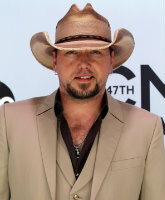 As we previously reported, country singer Jason Aldean married former American Idol contestant (and former "other woman") Brittany Kerr in Mexico on Saturday, and now we have photos and details from the ceremony! 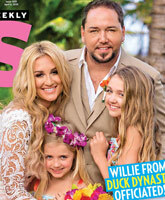 Jason Aldean married his fiancee Brittany Kerr in Mexico Saturday, more than two years after Jason made headlines when he was photographed flirting with the American Idol alum while he was still married to his wife of 12 years, Jessica Ussery. Keep reading for statements by the bride and groom!